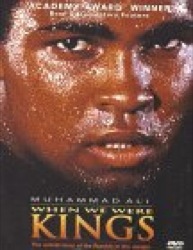 Ostensibly a documentary about Muhammad Ali’s 1974 championship bout with George Foreman in Kinshasa, Zaire (“The Rumble in the Jungle”), but a much broader and engaging exploration of hero worship, racial divides and the ultimate marriage of PR and symbolism. The Foreman of When We Were Kings isn’t the jolly bald guy you see today on TV hawking low-fat grilles. 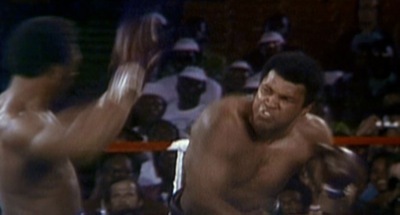 With crazy hair, a crunching punch, and a look that makes him appear that he wants to tear your ears off, Foreman is a junkyard dog, ready to pound Ali into paste. 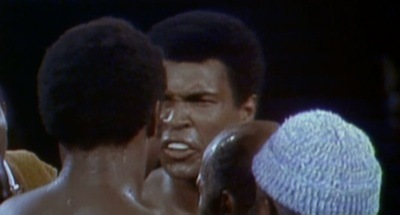 The insights of fight attendees like Norman Mailer and George Plimpton provide a nice spark, but the film really lights up every time Ali appears on-screen or opens his mouth. 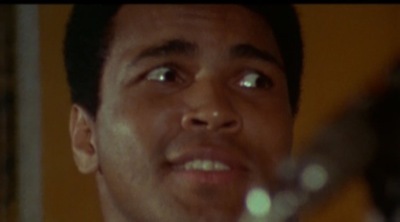 Nice bonus: great musical moments by James Brown and Miriam Makeba at a concert preceding the fight.